Good prices, friendly service, and flexible on delivery and collection. Definitely recommended. Excellent service to Australia. Goods were as described. Fair pricing and postage. This is a second hand book which has been edited by Vic Smeed. This book is in a Good Condition. However, there is a short message written on the inside cover from the previous owner. An image of the book is shown for your information, if you click on the image a scanned copy of the back cover, contents page or introduction will be displayed. 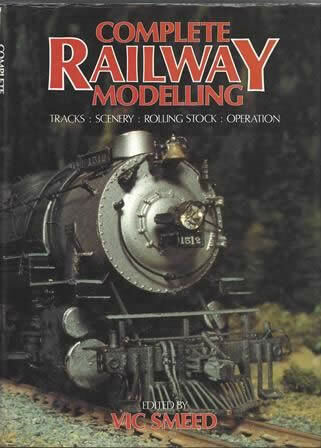 Norman Wisenden - Model Railways, Copley Mill, Huddersfield Rd, Stalybridge, Cheshire, SK15 2QF.